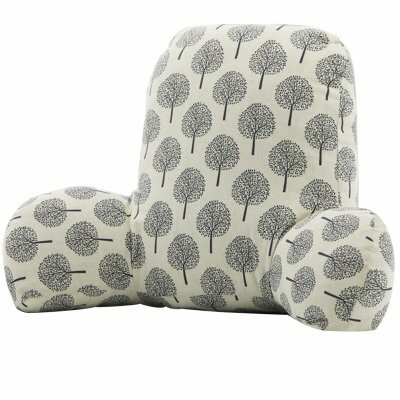 Successfully Added Heightening Cartoon Lumbar Pad Office Back Cushion-Tree of life white to your Shopping Cart. [Natural Material]--Eco-friendly cotton and linen outer sleeve, breathable and anti-moisture, no pilling. [Filling Material]--High quality PP cotton, druable, good resilience and will not deform within 3 years. [Fine Workmanship]--Resist-printing makes fine patterns, clear layers and vivid appearance. The color will not fade after several washings. [Hightening Design]--Relieve waist fatigue effectively as a car seat cusion or a lumbar pad in office.